When it comes to cruise buying, everyone wants to get a good deal. And the truth is that you can get the same exact cruise for hundreds — and sometimes thousands — of dollars less just buy purchasing your cruise at the right time. So when is the best time to book a cruise? Below, we’ll explain exactly the best time to buy your cruise. Before we get too far, you should know that the biggest factor in how much you’ll pay depends on one thing: timing. When it comes to timing your purchase, there are two things to consider: when you actually buy the cruise and when the cruise departs. Below, we go into detail on both fronts with some actual data to show you exactly when to time your purchase and set sail to save the most money. It seems like basic logic that if a cruise were about to set sail with empty rooms the company would slash prices to get people on the ship. After all, once a room leaves empty, it earns no money for the cruise line. However, if every cruise line slashed prices last-minute, people would catch on and wait to book their trip. There would be no reason to book early. This would be disastrous for the cruise lines, who want you to book as soon as possible. In fact, some line refuse to drop prices any lower — and sometimes even raise prices — once the cruise gets within a few weeks of departure. But where you can get burned waiting until last-minute is with cabin selection. If you wait until a couple of weeks before the cruise sails, then you’re going to be left with cabins that other passengers didn’t want. This usually means there are no or limited balcony rooms and the locations of available rooms are often undesirable. In other words, by waiting you can actually see higher prices and less selection. If all that weren’t enough to convince you to book as early as possible, you should also consider how much you can save. How much can you save by booking your cruise far in advance? Turns out, it can be hundreds of dollars on a cruise. The table below shows the headline fare for one cruise over the next year and a half. This cruise aboard the Carnival Valor is a 5-day trip departing Galveston. Since the cruise is scheduled regularly for more than a year into the future we can compare the price of the cruise now with the price of the cruise at the same time next year. As you can see, the same exact cruise aboard the same exact ship booked at the same time of year is considerably cheaper booked a year in advance. Remember that the prices below are shown per person for an interior cabin, before taxes and fees. The savings are greater for two people per room and for higher-grade cabins. As you can tell from the table above, the fares are consistently lower when you book a cruise departing later. A cruise leaving in September of 2017 (when this article was written) is $125 more per person than the same trip departing one year from now. Bottom line: If you want to get the cheapest deal, book well in advance of your departure date. Knowing the best time to purchase your cruise is just one part of the puzzle to getting the cheapest price. The other piece of that puzzle? When you actually set sail. The simple rule of thumb is that prices are lowest when school is session. When school is back in session, it’s much more difficult for families to set sail. That means cruise lines offer cheaper cruises in an effort to get more people on the ship during these times. So you’ll find the cheapest time to book a cruise is in the fall and winter. Meanwhile, you’ll see the highest fares during summer, Spring Break, and the Thanksgiving/Christmas holidays. How much can you save based on when you sail? Take a look at the chart below. We’ve charted the interior cabin prices for all the 2018 departures of the cruise profiled earlier. During the course of a year, the price of the cruise varies from a low of $279 (between Thanksgiving and Christmas) and a high of $709 (Spring Break) even though this is the same trip on the same ship. 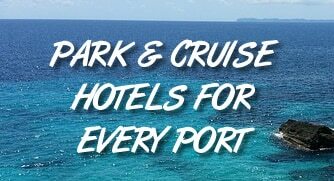 In other words, if you book at the best time, your cruise can be a 60% discount off the peak price. Again, the best time to book a cruise is for a time when school is in session. If you have to sail during summer or holidays, expect to pay a premium. What About Waiting For Sales? Now that you know the best time to book a cruise, there is one final thing to mention — cruise line sales. You might wondering if they have an impact on the best time to take a trip. Frankly, cruise lines are similar to clothing stores in that they are always running sales. Sometimes it might be an incentive to book and receive onboard credit, or a sale where additional passengers sail for a discount, or a percentage off the total cruise. Truth is, there rarely seems to be a difference in what you end up paying for a cruise based on sales. Deals run so often that cruises seem to be in a constant sale. If you are short on cash right now, cruise lines do run deals with lower deposits to book cabins from time to time. However, the overall price that you’ll pay tends to end up the same. In other words, if you’re looking for the best time to book then focus on buying earlier and sailing when school is in session. Those factors play a much bigger role than constant sales offered up by cruise lines. For more tips on finding cruise deals, be sure to read our 10 Rules for Getting the Best Deal on a Cruise.